CHELMSFORD, Ont. 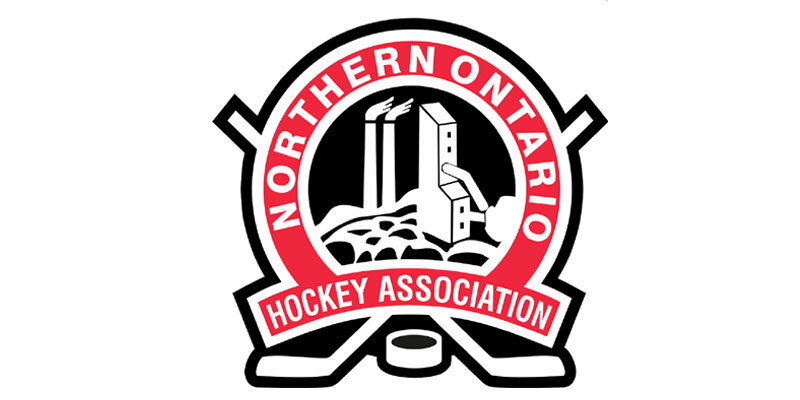 – A Jake Lamberty goal 4:28 into overtime was the difference as the Soo Eagles rallied for a second straight outing to defeat the Rayside-Balfour Canadians 3-2 in Game 5 of their Northern Ontario Junior Hockey League West Division semifinal Sunday evening at Chelmsford Arena. With back-to-back come from behind victories, the Eagles now trail the best-of-seven set 3-2 as they force a Game 6 Tuesday night at 7 p.m. at Pullar Stadium in Sault Ste. Marie, Mich.
Sunday saw the Canadians come out and open the night’s scoring six minutes into the contest on captain Evan Krassey’s fourth of the series to give the home side the early lead. Sault Ste. Marie answered that however midway through the first period getting the equalizer from Charley Hanewall. Answering back, Krassey notched another at 14:52 as he converted during a man advantage opportunity that put Rayside-Balfour up 2-1 after one. It stayed that way through a scoreless second stanza as the Canadians carried their slim lead into the final frame. A late two-man advantage helped the Eagles tie it as they moved it around nicely that resulted in Dominc Skrelja taking a crisp cross-ice pass from Kobe Keller and burying his opportunity at 16:04 to help force overtime. In the extra session the visitors chipped the puck out of their own zone up to Skrelja who powered his way into Rayside-Balfour territory and fed Lamberty, who snapped the game-winner off the glove of RBC goaltender David Bowen and in to keep the Eagles season alive. Soo starter Shane Brancato was solid in making 40 stops, including six in OT, to record the win while Bowen faced 36 attempts in defeat.